The Ford Motor Company will donate to Rolling Meadows High School and District 214 Community Education each time a vehicle is test-driven at Arlington Heights Ford. On Friday, May 17th from 2:00 PM to 8:00 PM, the Ford Motor Company will be running the “Drive 4 UR School” program at Arlington Heights Ford, located at 801 West Dundee Road in Arlington Heights. 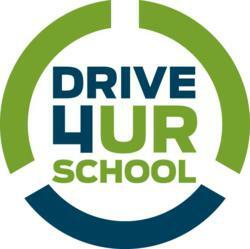 As part of the “Drive 4 UR School” promotion, Ford will donate up to $6,000 to Rolling Meadows High School and District 214 Community Education when people test drive a vehicle at Arlington Heights Ford. For each test drive, more money will be donated to local community education. All proceeds will go to Rolling Meadows High School and the Community Education Foundation. For each family household that takes a test drive during the “Drive 4 UR School” promotion, Ford is asking for a $20 donation. These donations will go directly toward education in the community. No purchase is necessary with the test drive, and everyone who enters must be at least 18 years of age and have a valid driver’s license. The limit is one test drive per household, and all test-drives will last approximately 7-10 minutes. Arlington Heights Ford is fully committed to strengthening education in the community. During their “Drive 4 UR School” event on May 17th they will also be accepting donations in a drop box for “Backpacks 4 Class,” a program dedicated to providing local underprivileged children with the school supplies they need to be successful during the upcoming 2013-2014 school year. While no purchase is necessary as part of the “Drive 4 UR School” promotion, there are a number of popular models in the 2013 Ford model lineup now available at Arlington Heights Ford. According to Polk global market registration data, the Ford Focus is the number one selling car in the world, the Ford F-Series is the number three selling vehicle, and the Ford Fiesta is the number one selling subcompact. From new high school drivers to truck drivers, Ford has a popular model for every demographic. Arlington Heights Ford has earned the President’s Award for Customer Satisfaction in Sales and Service for 24 consecutive years. The dealership is open for sales Monday thru Friday from 9:00 AM to 9:00 PM and Saturdays from 9:00 AM to 6:00 PM. For more information, contact the sales staff at (847) 481-0427.